A fashion + lifestyle blog written by three sisters. Three sisters, one fashion blog. 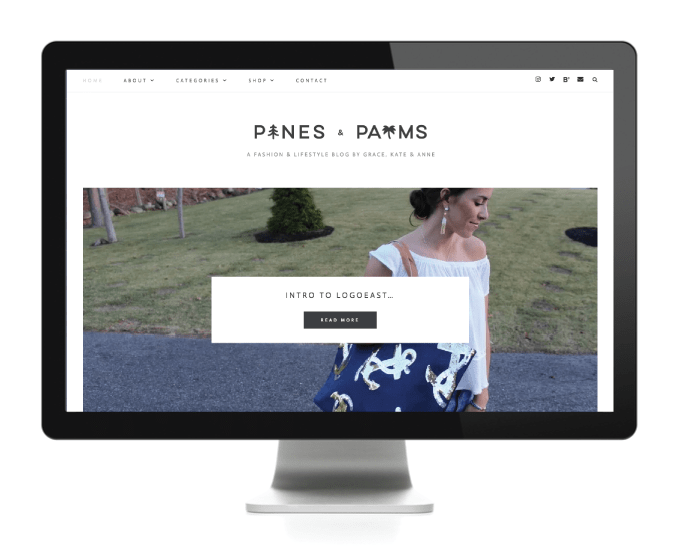 So enjoyed overhauling the Pines & Palms fashion blog to make it a whole lot more functional. We updated their logo to reflect their name and added some whimsy with the pine and palm. So cute. Their style is classic, modern, simplicity which is reflected in their blog design, mood board, and logo.